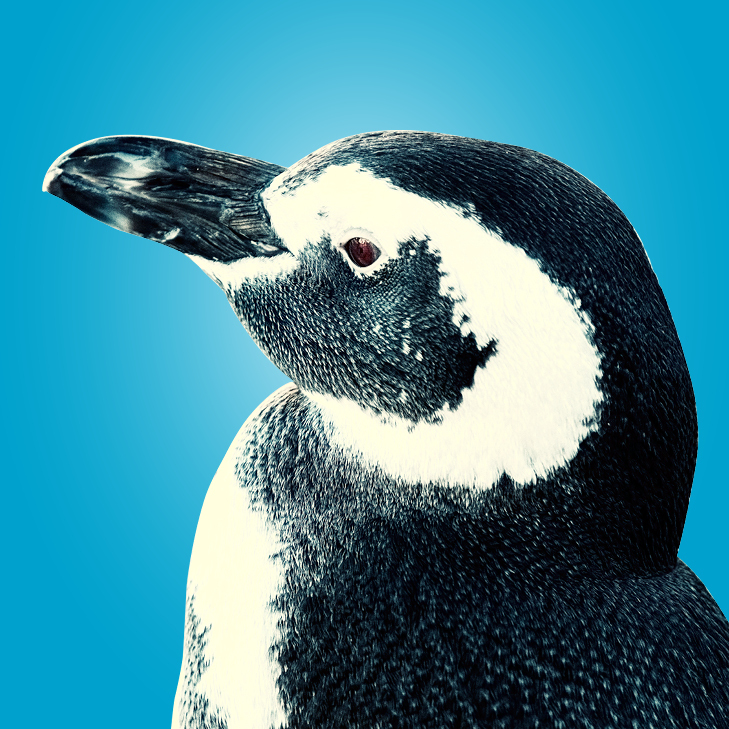 Before he was named, the male chick that hatched at the Aquarium in June 2013 was known as Chick B.
Molina Healthcare, Inc. CFO John Molina, his wife Michelle, and family bid on and won the opportunity to name the penguin at the Aquarium’s annual fundraising event, Sea Fare. They named him Anderson in honor of Karen Anderson, the Aquarium’s senior bird biologist who has been caring for the chick. His trainers say this young penguin is developing a more independent personality. But while he thinks he is brave, when an adult penguin bothers him, he comes right to his trainers for help. Like his sister, his favorite food is herring fed to him directly by his trainer. You may see him on the keeper’s lap from time to time, getting fed on his or her lap. The key to his heart is scratches on his chin, his keepers report. We look forward to watching Anderson grow up.